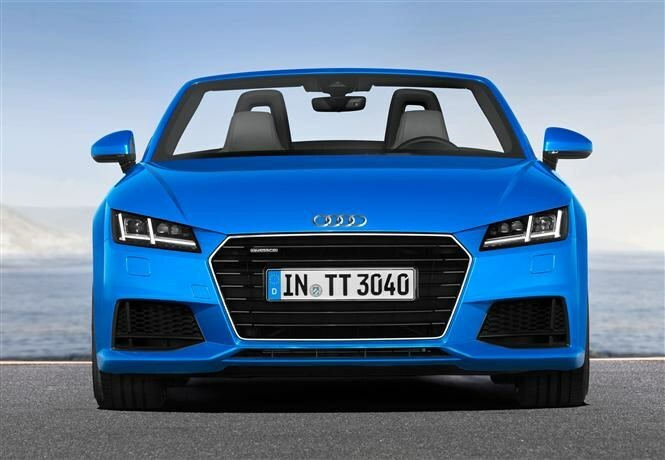 Main image caption The New Audi TT Roadster. We’ve recently driven the coupe version, so it came as no surprise that details of the new Audi TT Roadster emerged this morning. Set to take on the likes of the Porsche Boxster, BMW’s Z4 and the Mercedes-Benz SLK, the new TT has certainly got its work cut out. In such illustrious competition Audi appears to have kept the recipe the same as ever – majoring more on clever kit and stylish tweaks than outright driving enjoyment. In this way the firm has sold thousands of TTs, so who are we to question that logic? There are three engines on offer here along with two gearbox options. The sole diesel offering is a 2-litre with 182bhp known as ‘ultra’. There’s no word on acceleration figures but they probably play second fiddle to fuel economy for diesel drivers anyway. The official figure here is 65.7mpg, which is very good for a sporty car like this. The same can be said of the CO2 emissions, which depending on wheel size could be as low as 114g/km. Those after petrol power have a choice of two power outputs from the same 2-litre engine. The lower-powered version gets 228bhp and either a six-speed manual and front-wheel drive or a six-speed S Tronic automatic gearbox and four-wheel drive. 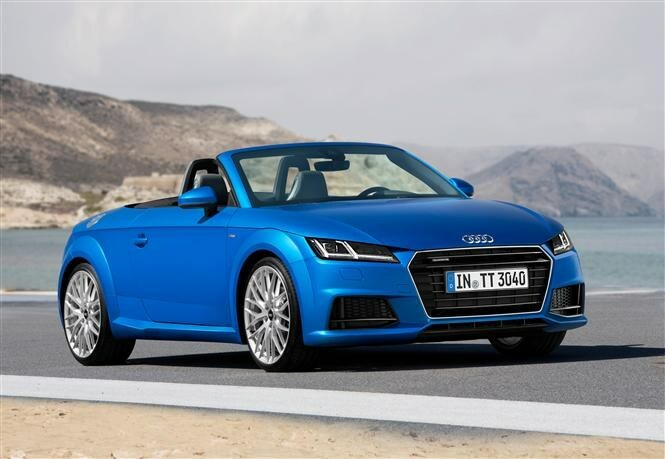 At the top of the range sits the 306bhp Audi TTS Roadster. This version comes with a six-speed manual gearbox as standard and a six-speed S Tronic automatic as an optional extra. It also has Quattro four-wheel drive for the ultimate in roadholding. 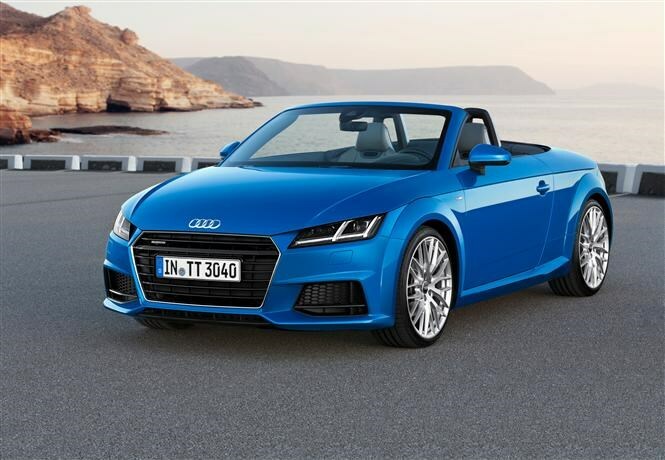 You can expect two distinct trim levels on the new TT Roadster along with a range-topping TTS Roadster which represents the best of the best. As on the Coupe there’s what Audi calls a ‘virtual cockpit’ in the new Roadster. This centres around a 12.3-inch display to replace conventional dials on the dash. You can choose from a pair of modes – classic and ‘infotainment’ – depending on the information you want displayed. Sport models also get Audi’s touchpad interface for the multimedia system along with Bluetooth connectivity and leather/Alcantara upholstery. Air-conditioning is thrown in, and so is keyless start. 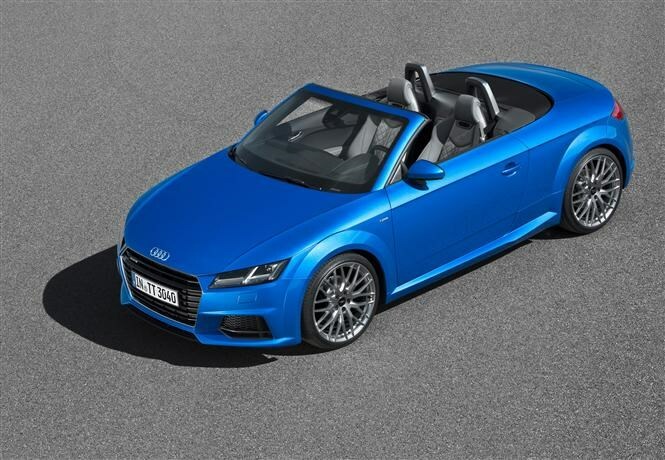 All TT Roadsters get Audi Drive Select too, allowing the driver to set the car up for their individual requirements. Moving up to S Line specification means you also get 19-inch alloys, LED headlights and taillights, a bespoke bodykit and 10mm lower sports suspension. Buyers of the TTS model get special interior trims and textures and have the option of red leather seats. As with any Audi, there’s a huge range of personalisation options on offer too. One of the highlights undoubtedly is the high-speed internet connectivity which incorporates Google Maps, Street View and traffic information along with the capacity to update your favourite social media networks as required. There’s also a number of upholstery, stereo and safety systems you can pay extra for including a self-parking system and traffic sign recognition. This new drop-top is set for a world debut at the Paris Motor Show in October with order books opening in mid-November. 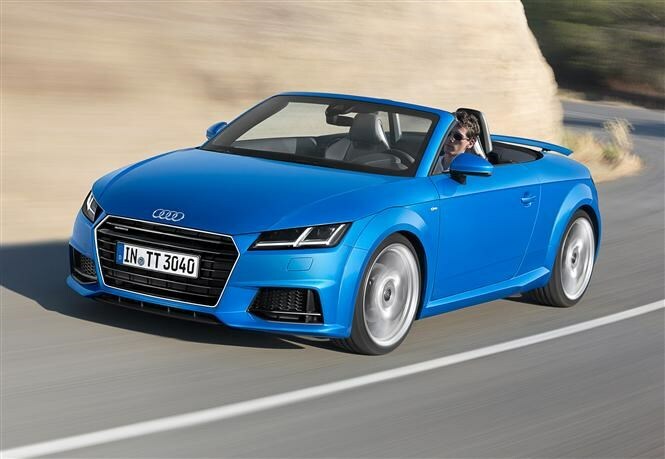 Prices start at £31,995 and we’ll be among the first to drive it, so watch out soon for the Audi TT Roadster review. 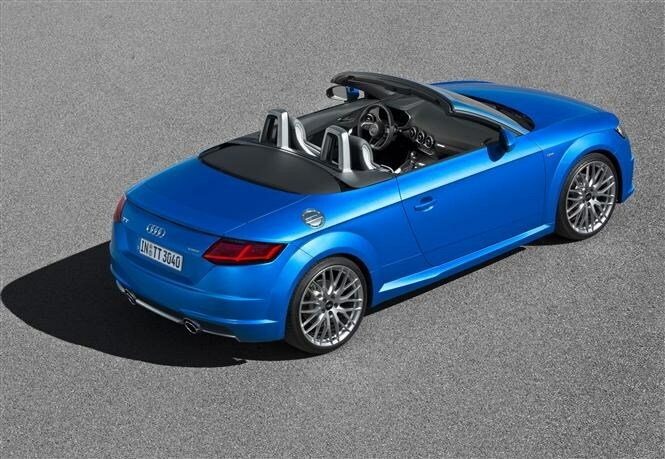 The New Audi TT Roadster. The New Audi TT Roadster. The New Audi TT Roadster. The New Audi TT Roadster. The New Audi TT Roadster. The New Audi TT Roadster. The New Audi TT Roadster. The New Audi TT Roadster. 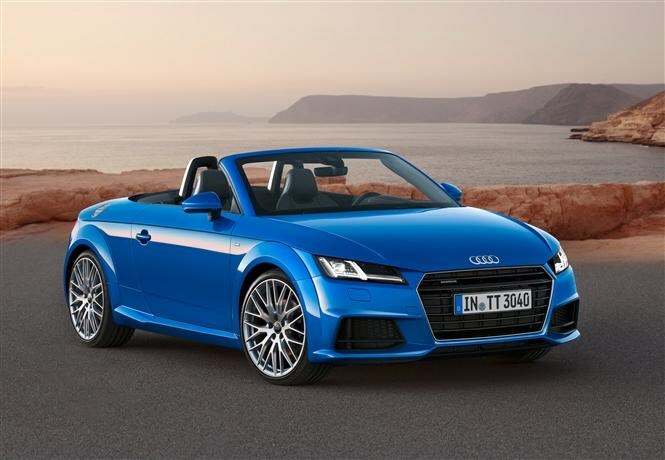 The New Audi TT Roadster.